Carl Wayne "Grease" Evans, 67, of Karns City passed away comfortably in his home after a brief illness surrounded by his loved ones on Wednesday. He was born Saturday, Dec. 16, 1950, in Butler, and was the son of the late Helen (Wheeler) and Richard E. Evans of Bruin. 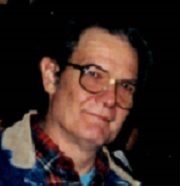 Carl was a car enthusiast, working in the auto body and welding industry for over 50 years. He was employed by Geither's Auto Body in Butler, for 37 years until his retirement. He then continued to work from home, finding intelligent ways to fix things, while spending time with his family and friends. He loved good music, good coffee and good conversations. He was a gentle man, who loved local history, going on adventures, storytelling and helping others. He is survived by his longtime partner and friend, Sandy Kay Vogt of Bradys Bend; and a daughter, Danielle Love Vogt and her boyfriend, Colin Grady Campbell, whom he considered family, both of Karns City. Friends of Carl Wayne "Grease" Evans, who died Wednesday, Sept. 26, 2018, will be received from 2 to 4 and 7 to 9 p.m. Sunday and 10 to 11 a.m. Monday at STEIGHNER FUNERAL HOME, 111 E. Slippery Rock and Main streets, Chicora. Funeral services will be held at 11 a.m. Monday at the funeral home with the Rev. John Pistorius officiating. Interment will follow in Lawn Haven Cemetery in Worthington, PA.
For information, directions and to extend condolences to the family, go to www.steighnerfuneralhome.com.